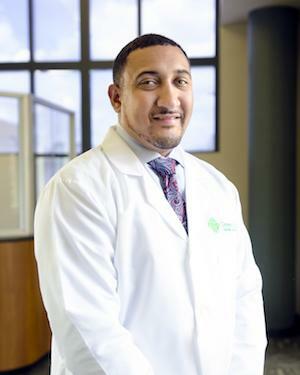 Dr. Metoyer joined Green Clinic in July of 2017. He is an active member of the American Academy of Family Physicians and is Board Certified by the American Board of Family Medicine. Dr. Metoyer treats children and adults. He is active in his community and is an avid tennis player as well as a time piece collector. Dr. Metoyer enjoys spending time with his daughter and wife, skiiing and canoeing. He very much enjoys music and the arts as well. Dr. Metoyer is accepting new patients. To schedule an appointment, please call (318) 251-6108.